Margaret is a long standing resident of Haregate. 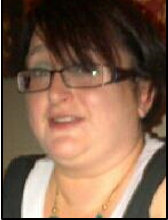 She also holds posts as a local councillor and has the needs and hopes of Haregate at the top of her list of priorities. Ali has been a volunteer at the community centre for many years and also with St John ambulance and was the founding member of A.S.L.A.N a local autism support group. Dorothy is a long standing resident of Haregate and has been involved in community groups in the area for a long time. She was named TPAS Central Tenant Of the Year in April 2011. John lived and worked in Haregate for many years working for Bodes engineering on Ball Haye Green and is a member of St Pauls Church. He is involved in the centre because it is his wish to put something back into the community where he grew up, and a place that he still cares about deeply. 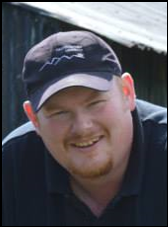 Kelvin moved to the area a few years ago and has had any years experience working with community groups across the Staffordshire Moorlands both in his old hometown and in his role with Your Moorlands. The board of directors is made up of residents from the Haregate estate, ex residents, and professionals, all who have an interest in seeing the development of, and a bright future for the area. This group of people have stepped up to the challenge set by the Staffordshire Moorlands Community Voluntary Service to take on the running of the community centre on behalf of Haregate Residents. Since the community centre opened its doors in 1999 a team of dedicated people have been working steadily to allow the management to be taken on solely by the community. We are now nearing that stage. Up until April 2010 the centre was managed and supported by the SMCVS. The team at the SMCVS, in particular the community development advisors worked hard supporting a new management team to ensure that they were in a strong position to confidently take over the centre from April 2010 running the centre as a Community Interest Company (CIC). The CIC decided upon their business plan for the centre and it was their vision that pushed the decision to employ staffing to ensure the centre would be open and staffed throughout the week. 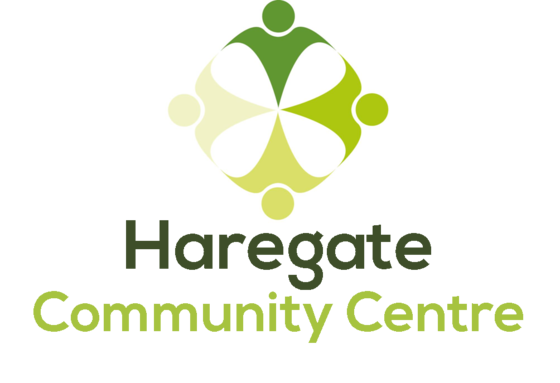 Following a successful bid to the Give It Sum fund they took the decision to employ local residents who are keen to be a part of the ongoing success of Haregate. As of March 28th 2012, the communinty centre can now call itself a charity. The company was approved for charitable status on this date which allows the board and members of staff to ensure that they always get the best for the local community. Also in 2012 Give It Sum awarded a further 2 years support towards maintaining staffing levels at the centre. The board of directors and staff would like to take the opportunity to thank Moorlands Housing and Staffordshire Moorlands District Council for there unwavering and ongoing support (both financial and practical) of the centre and all we are trying to acheive in Haregate. Up until June 2014 the building that now was home the community centre was opened in 1966 by the health authority as an infant welfare clinic for the people of Haregate up until demolition you could still see the remnants of this with the old 'weighing and treatment' and 'doctors' rooms still bearing the original signs on the doors, and the original plaque from the opening ceremony in the main hall. In June 2014 the trustees were handed the keys to a brand new community centre on Queens Drive in Leek. The building was generously paid for by SMDC, Ascent and Your Moorlands who handed the keys to the centre to provide ongoing support and services for the local community every aspect of the centre was designed working closely with the trustees, groups and local residents. On July 5th 2014 the all new Haregate Community Centre had fully moved into the building and was opened by our Chairman Alan Scragg.